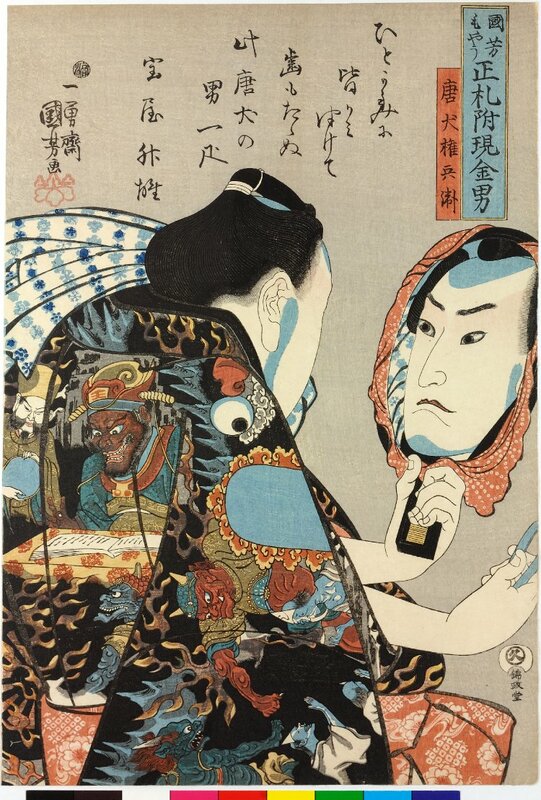 True Japan lovers and art lovers don’t have to be informed in the beauty and skill of Ukiyo-e, the 400 year old Japanese Traditional Woodblock Print art. This time they partnered up with U.S.-based Epic Rights, the global brand management firm for KISS to create the best looking Ukiyo-e yet…KISS has some kind of Kabuki presence due to their make up and facial expressions (think long tongue), which makes them the perfect models. They have created 3 unique pieces for the “international” market (which in this case means the USA and Japan) , with two pieces coming in “autographed”(by the band) and not “autographed”. 1-The artwork shows a battle scene of MOMOIRO CLOVER Z (MCZ) in vibrant, bright and colorful armor, versus KISS as the black flame, fireball monster. 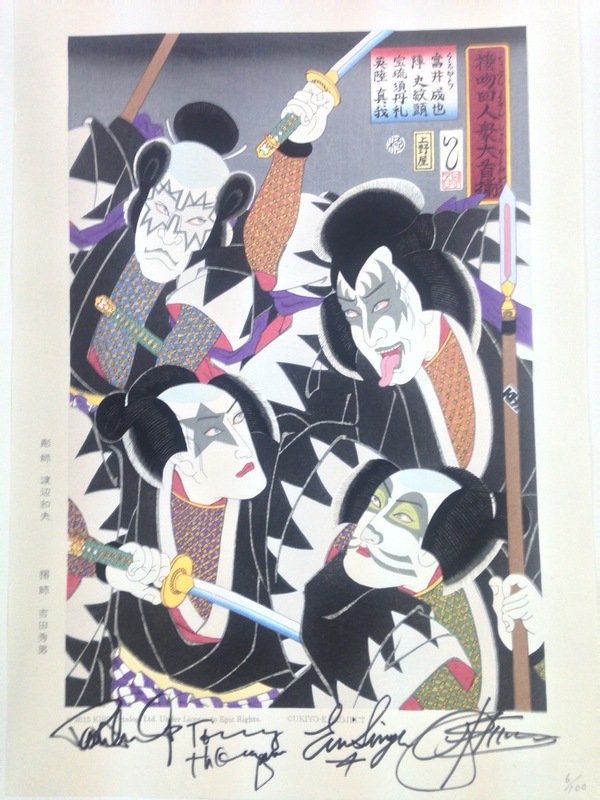 2-KISS Kabuki Ukiyo-e. This portrait style is very popular in the Ukiyo-e art. The design of the Kimono comes from Aoko Roshi(47 Ronin), a touch of shine is infused with mica on the Kimono (grey area) in respect to KISS. The color inside Hauberk expresses each member of the band. The lighter color make-up symbolizes Kabuki’s Kumadori make-up. 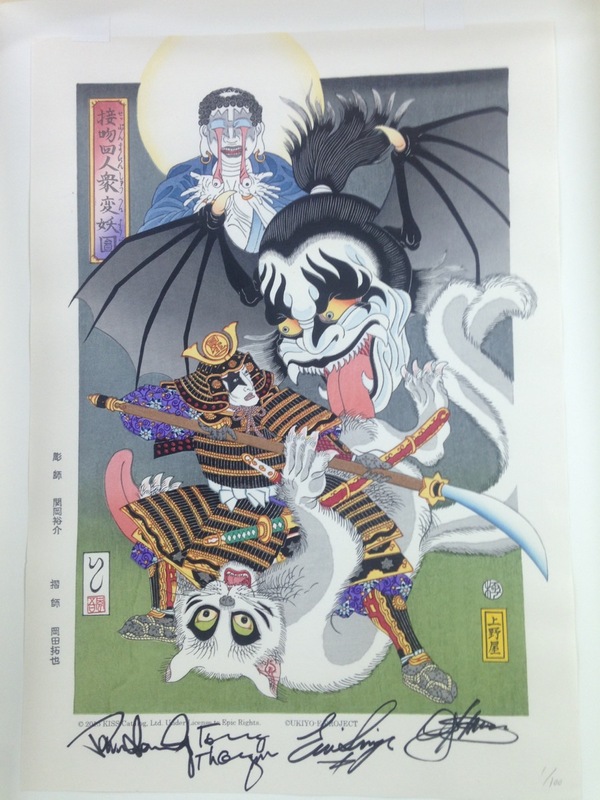 3-KISS Monstrous Ukiyo-e. The members of the band are transformed into monsters and samurai. Gene Simmons is the flying devil with the big head. Eric Singer is the ‘Nekomata (mythical two-tailed monster)’, which stands for cat monster just like his character in the band. Tommy Thayer is the ‘Nuribotoke’ a monster with the Buddha face. Paul Stanley is the warrior who fights these creatures and the front piece of the warrior’s helmet has a star shape from his persona name ‘Star Child’. Pentagram is his signature but hexagram on his armor above his knees are meant to protect from the evil. For the Japanese only(KISS fan club) market they have one more…. The prices in Japanese yen are 108,000 yen and 237,600, which is 966,- and 2,127 dollars give or take at the present exchange rate, which means that they charge you $250 dollars for packaging, shipping and import duty(which is included in the price). If we order yours we will receive the print in the same packaging but we’ll give you the luxury to choose the courier. Folks from other nationalities have no choice than to use us in obtaining these pieces, but you too have the option to choose from several couriers. Each print will be limited to 200 pieces! Estimated delivery: Mid November or Early December of 2015 . The Ukiyo-e is Unframed yet, it is presented in a specially designed folio made specifically for the KISS Ukiyo-e series. Material: Washi, Traditionally hand-made Japanese Paper “Echizen kizuki housho” “Echizen kizuki housho” is made by Shouhachi Yamaguchi in Fukui Prefecture. This Washi making in Fukui has a history of 1500 years. Washi was used for preserving documents in the age of the samurai. Made of all natural fibers from the mulberry tree, which allows the Washi to be very durable. Ukiyo-e would not have its form unless the Artisans had this Washi paper. 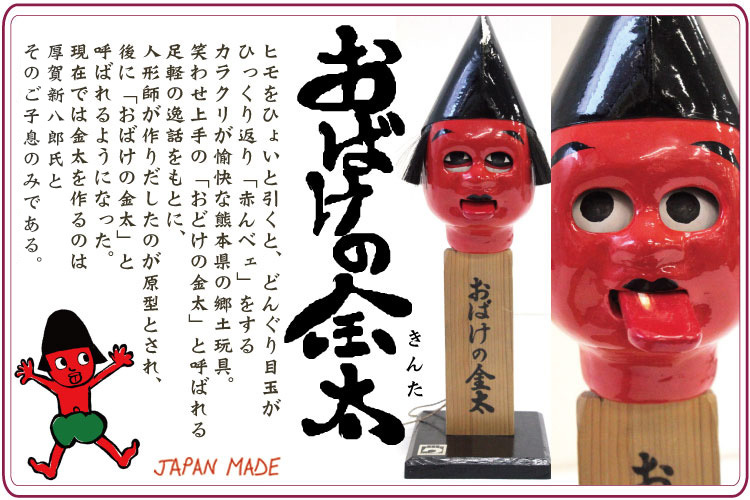 And there’s only 2 Washi craftsmen left to make this Echizen kizuki housho. All these prints are up for pre order, BUT, you can cancel your order any time during the pre-order period, Once the items are ready, the buyer will receive a notification email. Once notified, the buyer will have 24 hours to cancel before we process the payment. Once the credit card payment is processed, 5% will be charged for the cancelled order after the 24 hours. This also counts if you order through us, your payment won’t be touched until you have received your order, this system goes for all our products and we can proudly say that we’ve never let a customer down. Colorful tabi socks and chimes..we introduce you kaya, the ultimate Japanese fashion accessory site! Tabi socks, the “two toed” socks are designed to be worn with zori or geta or Japanese wooden toe sandals. Of course you can wear these sandals barefoot, but this has proven to be mighty cold in winter and frostbite infected toes just don’t suit the good old kimono. Besides being designed for the zori and geta, these socks have the advantage of being extremely comfortable and proven to prevent athlete’s foot well at least to the big toe since this one is separated from your other toes. But most of all they are just plain lovely with their Japanese culture inspired designs….and come in all sizes. Online shop Kaya is the place to visit if you’re in need of some true Japanese fashion accessories, besides their collection of tabi socks, they have everything to enhance your outfit with a touch of the orient. Maki band or stomach band, worn like in the pic or beneath your clothes..sure to keep your tummy warm in those cold winters! Tonbou (dragonfly) beads to create your own jewelry. Hats and hoods to keep your head warm…or cool. You know what, this was just a preview of the things they have..so click here and check out what they have…and then click here to ask for more detailed information. Most products are produced in Japan and the prices are very reasonable IMHO..You do not need to go to Japan anymore, Japan just arrived at your doorstep eh virtual doorstep. 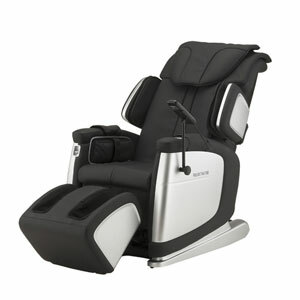 I’m going to sit in/on my magnificent massage chair, drink a hot sake(rice wine) and relax. I wish you all a pleasant day! We’ve seen a number of special releases this year in honour of the girls from the popular Sailor Moon anime series. Now it’s time to pay some attention to Luna, one of the star felines from the cast, with this line of adorable cat-eared leather cases. The four-piece collection is made from Japanese leather which has been embossed with planetary symbols from the Sailor Senshi. Complete with cat ears and featuring gold-coloured metallic parts in the shape of Luna’s crescent moon motif, it appears as if the black cat has shape-shifted into the collection to bring a bit of magic to our everyday! ▼ The Luna Leather Wallet retails for 21,600 yen (US$176), with a zipper coin compartment to protect coins and also space for 12 cards hidden inside the folds. ▼ The flip-style Luna Leather Meishi Case (11,880 yen) features six pockets to tuck away meishi (business cards). ▼ Keep your keys safe in the four-ring Luna Leather Key Case for 8,100 yen. ▼ And you can take the guardian cat on public transport with the Luna Leather Commuter Pass Case for 7,560 yen. Pre-orders can currently be made on the Premium Bandai website, with deliveries scheduled for January 2016. Now that we’ve seen Luna’s leather goods, we hope there’ll be a lighter-shaded version dedicated to her male friend, Artemis, the white cat, or even a pink series for their little kitten Diana, in the not-too distant future!